The best way to learn is ONE-to-ONE! Why do families and students enjoy learning with me? I strongly believe quality tutoring should be accessible to students who seek academic excellence and greater self confidence. Learners thrive with a tutor who is passionate about teaching; can improve academic skills, elevate effort, and become an educational partner. By working one-on-one with students, I am able to customize lessons and concepts, while teaching to their individual learning style. 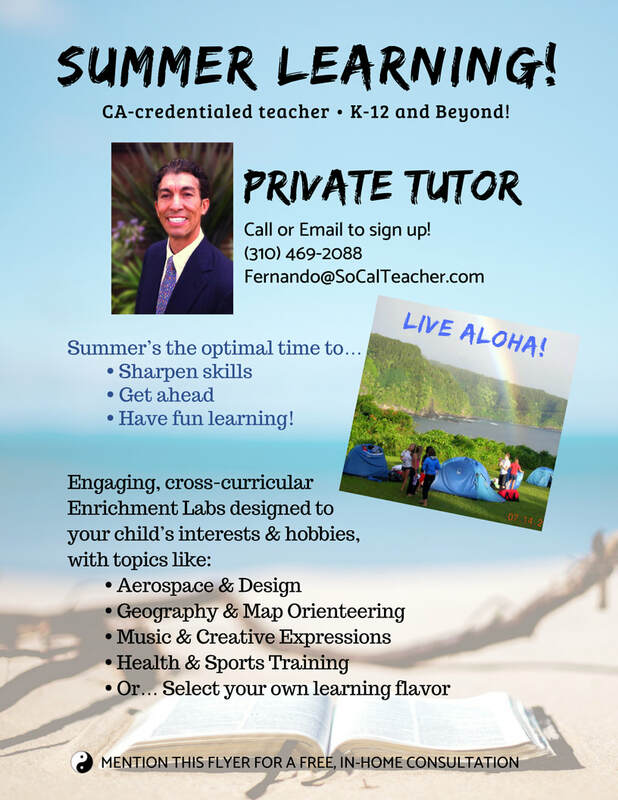 While focusing on students in the elementary and middle school levels, I have extensive experience facilitating private tutoring for all learning types including high schoolers and adults. In addition to most academic subjects, I am qualified to teach a range of scholastic and life skills like project-based design, art and standardized test preparation, as well as coach sports skills. I can create rich lessons/activities from your child's school curriculum, utilizing their textbooks, class handouts, and/or homework assignments. Or I can develop an individual learning program that fits any student's needs. By harnessing a client's personal interests and strengths, I am able to design fun, meaningful, cross-curricular lessons that transform into sustainable, long-term learning. Do you have a student in need of personal one-on-one tutoring in Math, Reading, Writing or another vital subject? Are you frustrated that your child is not performing as well in school this year and you don't understand why? Does he or she do well on homework but then make silly mistakes on tests? Is he or she disorganized and forgetful of turning in assignments? Is your child losing his or her motivation due to lack of confidence and poor performance? Mission: To empower individuals through academic achievement; for scholastic success and beyond.